Ok, this is my first edition of “Cheap Wine Fear Factor.” I welcome those brave enough to take a taste of the scariest of wine offerings. Don’t be shy. These wines end up on the shelf for some reason, and someone somewhere must buy them, either regretfully, with a palate disability or verging on being institutionalized. Let’s do the world a favor and protect the innocent from imbibing in wines that can hurt. We are tough enough, smart enough and crazy enough to save the world from drinking bad wine. Are you with me? Ok, I may be the Mother Teresa of cheap wine, but let’s help the lepers and start tasting. Hail to the spit bucket! The Bouquet is undeniably chocolate, overwhelmingly so. I’m white knuckling it with my friends, one being a well regarded Sonoma chef. When he saw this walk thru his front door, I saw his face freeze and before I could explain myself, I feared being black listed from the cullinary inside for life. After an ample preamble, blah, blah, blah, blah, blah – I had some reluctant but good humored recruits for the tasting. 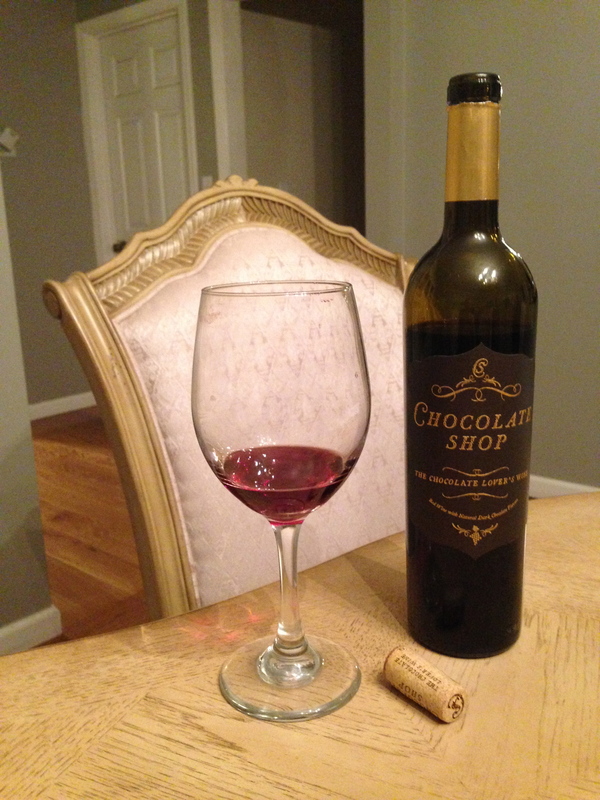 First taste was a surprise – red wine forward with a huge chocolate finish. One guest expressed that it was deceiving as you expect it to be brown and syrupy but it’s actually a solid red wine first with a weirdly sweet chocolate aftertaste – ewwwww! Looking at the color, it looks like a Cab with an outer ring of brown. If paired, the sweetness needs a good savory counter – like a pretzel – so says the chef, but his kindness in that comment was countered with “in a cold day in hell” from the other guests. Overall, blech. 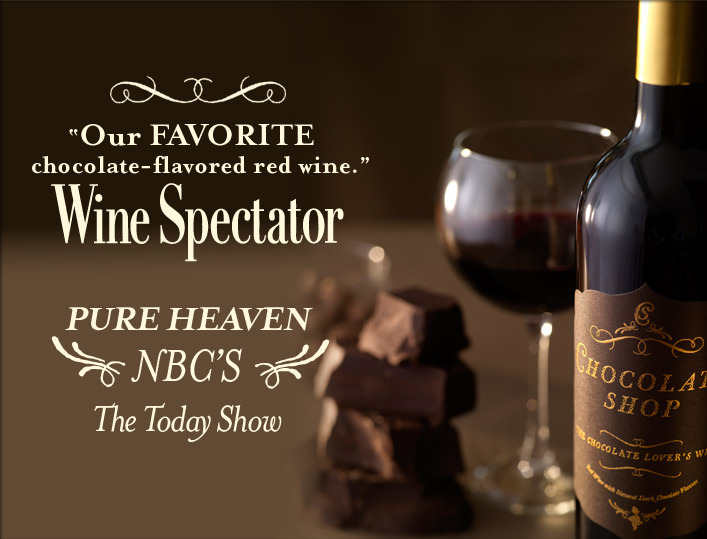 Just have a nice red with a piece of dark chocolate and save your $8.99. Sorry – we tried it. By the way Chicolate Shop – no ingredients listed – how’d you do it???? ← WINE FEAR FACTOR FRIDAY!